Eos 2-Pack Tropical Escape Guava Lip Scrub & Pina Colada Lip Balm Limited Ed. Lip Scrub Net Wt. Lip Balm Net Wt. Vast majority of the products will arrive anywhere between 4 to 7 weeks if not sooner. make you happy. I always reply within 24 hours if not less. - Juicy Island inspired. 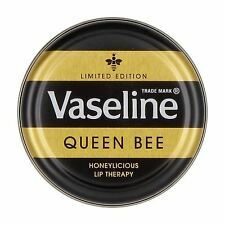 Vaseline Lip Therapy Queen Bee 20g Limited Edition Balm Honey. Sakura lip balm with hyaluronic acid by Shiseido. Shiseido Water in Lip balm Sakura. Including: Hyaluronic Acid. Product: Water in Lip Sakura. Water in Lip Cream Balm 3.5g. Content: 3.5g. Surface Air Lifted 2~4 weeks: FREE! Maybelline Baby Lips VARIOUS SHADES. EOS Lip Balm Crystal Hibiscus Peach, Pfirsich, wachsfrei, NEU!! Hallo Zusammen, ich biete Euch hier einen EOS an da ich mir im Urlaub mehrere mitgenommen habe aber keine mehr brauche. Lip Balm with dual action Plumping Technology: one active warms lips, stimulating microcirculation for immediate plumping. The second boosts hydration and improves skin density* for noticeable improvement of lip volume in the long-term**. 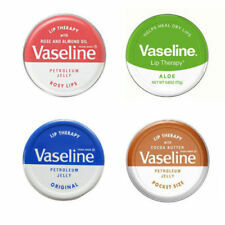 Blistex Relief Cream 5g- For Healing, Cold Sores and Cracked/Chapped Lips. Aloe Barbadensis Leaf Extract, Paraffinum Liquidum, Simmondsia Chinensis Seed Oil, Petrolatum, Ethylhexyl Hydroxystearate, Cera Alba, Glycine Soja Oil, Euphorbia Cerifera Cera, Myristyl Myristate, Copernicia Cerifera Cera, Ozokerite, Allantoin, Parfum, Benzyl Benzoate, Limonene, Geraniol, Propylparaben. We will always help you to have a 100% positive happy buying experience. NEW FORMULA -. Herpecin L SPF 30 New and in Box 2.8gm. Cold Sores. Sun and Fever Blisters. These are new and have been fully inspected and price reflects the broken seal. 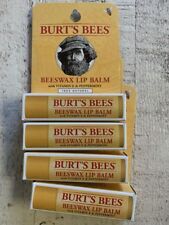 Dr.PAWPAW Original Balm. Service Available. SKU: 5060372800009. Quality durable aluminium tins with screw on lids. This formula prevents fine lines from forming and diminishes dryness, flakiness and redness. This balm is tint-free so you can easily apply it over your other glosses and stains to maintain a vibrant color. Make you happy. I always reply within 24 hours if not less. Sphere & 0.14 Oz. Vast majority of the products will arrive anywhere between 4 to 7 weeks if not sooner. make you happy. - Paraben free & gluten free. Disney Frozen Lip Balm Smackers Children's Gift Set. Cute Disney Frozen tin with 6 lip balms for kids featuring Elsa, Anna and their Frozen friends - don't forget that cute snowman, Olaf! Detail of SMITH’S ROSE AND MANDARIN TUBE "RB-RMLBT" . We are proud to introduce, "Rose and Mandarin Lip Balm" in a tube. (size: 0.50 oz). LOTTA LUV Lip Balm CINNABON Gloss/Balm DESSERT FLAVORED (carded) NEW! 2 Elizabeth Arden • Eight Hour / 8 Hour Cream Lip Protectant Tin. Ship Globally! Lip Smacker Lippy Pals. 5 Piece Set. Pandas. New & Sealed. Free Shipping! Lot of 3! 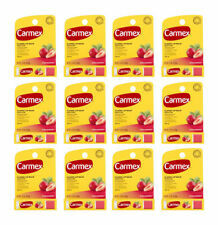 Carmex Lip Balm Medicated - Original Jar 0.25 oz - Free Shipping! Lot of 12 OraLabs Essential Lip Naturals Mini-Lip Balms Three Flavors!